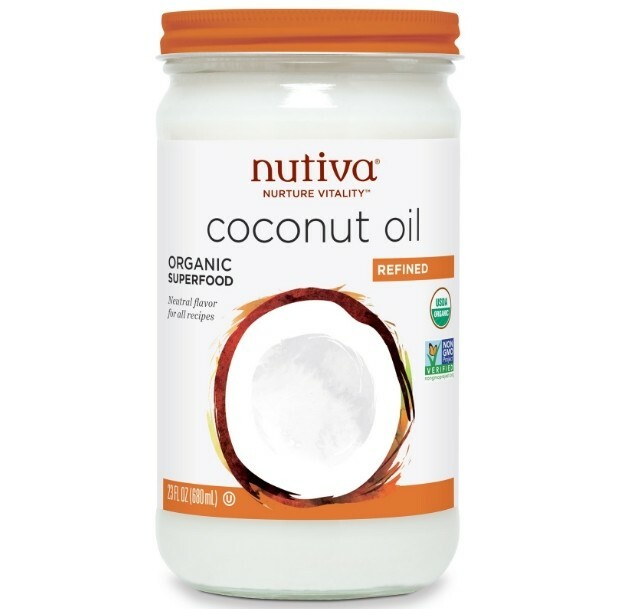 This creamy, expeller-pressed coconut oil is refined for a neutral flavor and a higher smoke point of 400°F. 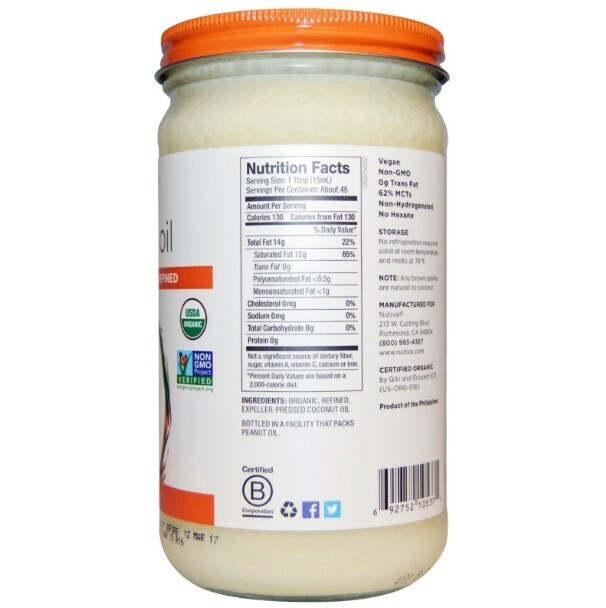 A perfect choice for recipes where a coconut flavor is not desired. Ideal for baking, frying and body care. Made from organic dried coconut, this refined coconut oil contains 62% medium chain triglycerides (MCTSs) along with lauric and caprylic acids. Made without pesticides, GMOs or hexane. 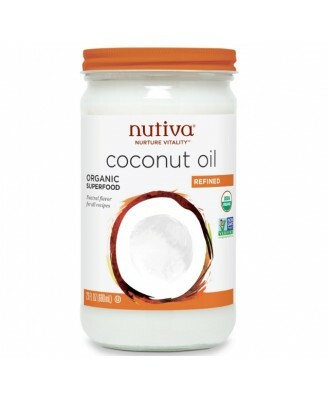 For a light coconut flavor and scent, try our unrefined Virgin Coconut Oil.